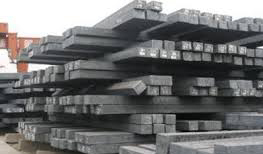 ASI's core business is steel trading. We act as a trading intermediary between producers and purchasers and provide a range of value-adding services. The goods we trade include long products, flat rolled, tubular and semi-finished products. We also trade specialized products such as engineering steels, stainless steels and steel products for the oil & gas industry. For producers of steel: ASI offers cost-effective marketing, logistical and financial services to secure customer business in overseas markets. We also represent mills on a agency basis. For purchasers of steel: ASI offers a reliable and flexible sourcing channel with financial support. We can offer worldwide sourcing for manufacturers and distribuors. ASI's international network affords us global scale with a local presence. We hold unsold forward positions and stock in several regions around the world - across a range of steel products - to minimize the long lead time entailed in producing and delivering steel. Added valued services supporting our trading business include off-take arrangements, various forms of credit, shipping, inspection, breaking bulk at port, clearing goods through customs, handling complex VAT regulations and organizing inland transport and intermediate stocking. Our role as a trading intermediary can take one of two forms: principal or agent. When acting as the principal in the business we confirm the contract, take the credit risk and invoice the buyer - we make a profit by including a small margin for ourselves between the sales price and the purchasing costs. When acting as agent, the supplier invoices the buyer directly and we make a profit by way of a commission or fee from the steel producer. Whether we act as principal or agent, the marketing service offered to the steel producer is the same. Our international network enables us to establish a direct presence in many markets. Our philosophy is to work through small self-contained units, each with its own management and clearly defined areas of responsibility. ASI representative offices combine the personal touch and flexibility of small business units with the strength of a large group committed to common objectives, shared values and a unified strategy. Our local presence supports the development of close relations with our business partners, while our international network brings together buyers and sellers of steel in different parts of the world and allows us to offer global solutions to customers who are building up operations around the world.